Moving to Penge, SE20 | High Quality Services - Call Us Today! As an established removals company since 1992, Moving Service has built up quite a reputation when it comes to all types of removals including furniture removals, student removals as well as office removals in Penge, SE20. Moving often is a very stressful and nerve wracking process, not to mention the additional cost that is incurred when you move, which is why we pride ourselves on carrying out cheap removals. We enjoy our work and all our experts are fully qualified and trained to be able to help you move all your goods under the health and safety law, meaning that no one is injured and you have a safe and secure move into your new house! Contact us today during our working hours on 020 8746 4402 and find out more about how we are able to help you move a house around Penge! 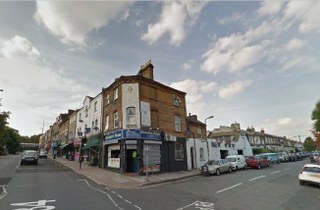 It is a commuter area of South East London, based in the London Borough of Bromley. The area comes under the postcode SE20. It became a very fashionable entertainment district in the 19th Century. It actually stems from the word Penceat meaning Edge of Wood in the Anglo-Saxon ages. The area formed a place in Battersea with a historic county boundary between Kent and Surrey. Bordering the London Borough of Lewisham, lying West of Bromley and North East of Croydon, located 7 miles SE of Charing Cross. The large amosite mine based in Johannesburg, South Africa was named Penge because the two mine directors believed that the places looked very similar in appearance. It is home to a number of inns and taverns and most people commute into Central London for work. It has a few parks that border it. Transport links are excellent into Central London, and the area is served by 3 Rail stations. Kent House and Penge East have frequent services to Orpington and London Victoria and First Capital Connect operating a limited peak hour service to St Albans and Bedford and Luton. This area is served by a lot of London Bus routes and connects it with Beckenham, Bromley, Catford, Croydon, Crystal Palace, Dulwich and Sydenham. Car links are great too with the major A roads by the A213 and A214. Sometimes, life in London doesn’t always make it easy for us to be able to have a car. Whilst cars do make things easier for us, the expenses on them surely don’t. You may be moving a house and have furniture that you need to move however you don’t have any way to actually move your stuff. Don’t worry! That’s what we specialize in here at Moving Service. With over 10 years’ of experience in the removal industry, our expertise lies in small removals in Penge, SE20 such as tables, chairs and small dining tables, perfect for that small move when you don’t have a car but don’t need a van with the size of a house either. Our van hire services in SE20 are adequate to be able to facilitate your house move making sure you aren’t paying any extra fuel costs. You can generate an instant quote online for your move or alternatively you can call us directly on 020 8746 4402 to speak to one of our advisers.